An alert store manager, watching his employees close shop via a live video feed, sent two armed robbers straight into the arms of the Seattle police Sunday night. The incident happened around 10:30 p.m. at the Have a Heart cannabis store in North Seattle’s sleepy Greenwood neighborhood. As employees were closing up for the night, two masked gunmen held the store’s security guard at gunpoint and forced their way into the store. The gunmen then used zip ties to restrain the two female employees before raiding the safe. Store manager Damon Martinez described to Leafly the sinking feeling he felt as he watched the store’s surveillance cameras from home, which is standard procedure during closing operations at all eight Have a Heart locations in Washington state. The video paints a terrifying picture of the incident, as the security guard is forced through the door with a gun at his back while a female dispensary employee drops to her knees. Because Martinez was watching, however, he was able to immediately alert the Seattle Police Department. “The police were amazing and were here within a few minutes,” Martinez said. Apparently, the robbery wasn’t entirely unexpected. Thieves had entered the store at night the week before. “They broke in while we were closed and couldn’t get anything,” Martinez said. “I don’t know, but it was two guys last time. Maybe this time they figured they’d come in and get quite a bit more,” he added. Martinez said the incident has served to strengthen the company and its commitment to safety and security. 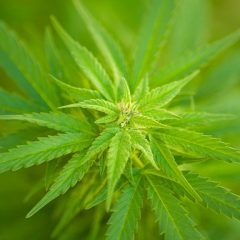 The incident underscores problems associated with the cash-only nature of the cannabis business. 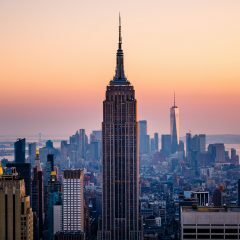 Federal banking restrictions prohibit most banks from working with the cannabis industry, forcing businesses to deal almost exclusively in cash. That makes them an appealing target for thieves. Have a Heart was fortunate enough to have stringent security measures in place, but even tight security sometimes isn’t enough. In June, a dispensary in Aurora, Colo., experienced a similar incident: a licensed retail cannabis shop, at the end of the day, a security guard, and two men armed with guns. Sadly, there was no happy ending in Aurora. The security guard, Travis Mason, a former Marine and father of three, was fatally gunned down during the attempted robbery. The gunmen have never been found. A Washington congressman, U.S. Rep. Denny Heck (D-Olympia), is slated to meet with the Washington State Liquor and Cannabis Board in Olympia on Tuesday to discuss the issue of banking and the cannabis industry. Heck was critical of House Republican efforts to block an amendment that would have addressed the cannabis banking crisis as a part of the 2017 Appropriations bill in June. That measure would have prevented federal banking regulators from penalizing institutions for providing services to legal, state-licensed cannabis businesses. In the meantime, the ordeal has shaken up the Seattle cannabis scene, and the Have a Heart family in particular. 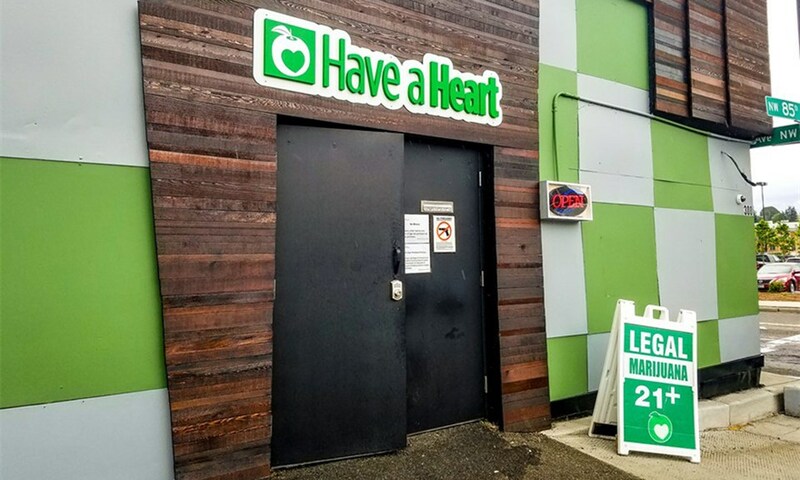 Have a Heart is one of the most prominent cannabis retailers in the state, and the company is well-known for its high-quality products and professionalism. The Greenwood neighborhood has already come out to support the local shop in the hours since the arrests.